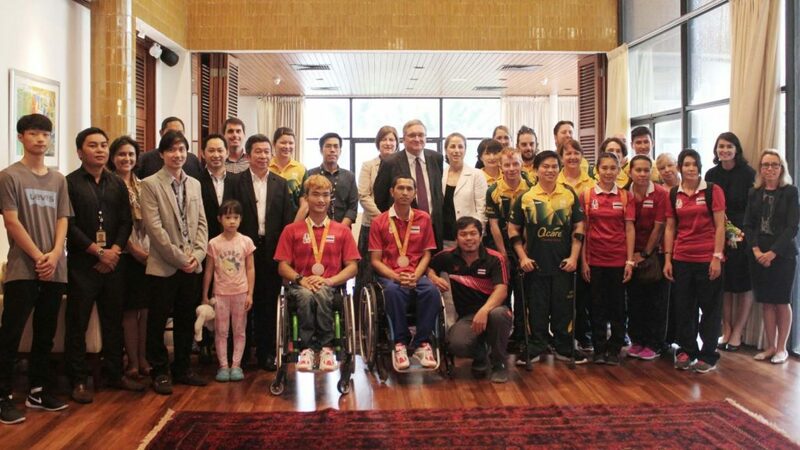 Welcome visitors to the 2016 Thailand Para Open Championships, which commenced in Pattaya on Sunday 9th October, are members of the Australian national team; they are present as part of the Smash Down Barriers Programme supported by the Australian Government and International Table Tennis Federation. Organised in conjunction with the Asian Sports Partnership and directed by Christian Holtz, Table Tennis Australia’s Sport for Development Manager, a full and most worthwhile schedule of events was arranged. The Australian Para Team in Thailand with (third from left) Paul Robilliard. 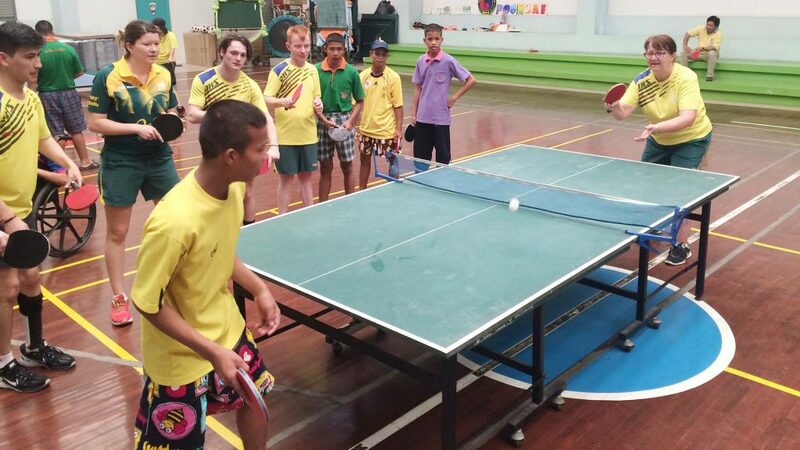 In addition to competing in the four day tournament, the players took part in a training camp with the Thai para team, visited a disability organisation of some 100 children with cerebral palsy and met Paul Robilliard, the Australian Ambassador. Most certainly the overall schedule realised not only a most memorable occasion; also, it was a most worthwhile educational experience. Additionally he emphasized the value of the venture. A positive reaction from Paul Robilliard; he saw the visit of the Australians as having a wide significance. “Sport has the unique power to transcend social, cultural, religious and language barriers and bridge differences and to improve individual lives and transform communities”, he added. Distinguished guests included Yuttajak Glinbanchuen and Anurak Laowong, bronze medallists in Men’s Team Class 3 at the recent Rio 2016 Paralympic Games; in addition to Sakul Ariyachotima, Deputy Secretary General at Table Tennis Association of Thailand and Dr Attarit Srinkapaibulaya, Chair of the Thai Para Table Tennis Society.